Along with some of the bigger issues cov- ered at Tuesday’s Mono Council meeting, there were a number of positive announcements, decisions, projects and some sad news. At the beginning of the meeting, a donation was made to one of Mono’s committees, to assist with some of their restoration projects. The Mayor’s Booth at Mono’s Big Day raised $140 in funds. Mayor Laura Ryan pledged prior to the event that she would match any funds raised and provide a donation to the Headwaters Streams Committee. On Tuesday, she presented Councillor Fred Nix with a donation of $280 for the committee. 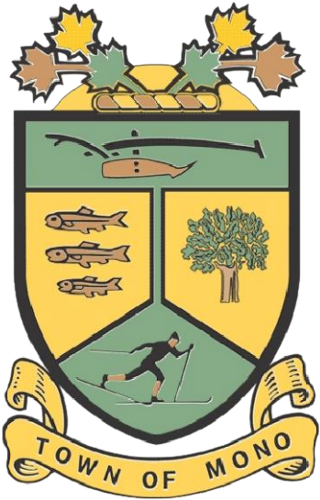 At the first council meeting of October, the NVCA (Nottawasaga Valley Conservation Authority) and Councillor Nix made a presentation to council regarding the possibility of forging a partnership to start a summer camp for 2016. At Tuesday’s meeting, Council decided that the Town will launch the camp with the NVCA this summer. The camp will be in its pilot year, and will be offered to kids aged 5 to 12, and held in the lower room of the Mono Community Centre. More details will become available as the project is developed. The speed limit on Kingfisher Drive and Monora Park Drive have been reduced from 50 km/h to 40 km/h following consideration by Mono Council. Part of the reason behind the decision is that more traffic has been using Kingfisher as a shortcut. During the discussion, Director of Public Works Mike Dunmore explained that he is looking into the possibility of reducing the speed limit in all subdivisions to 40 km/h. 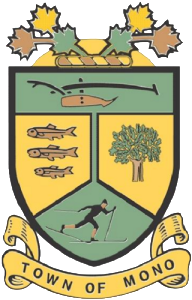 Following Tuesday’s meeting, Mono Council will be submitting a request to the County of Dufferin that they not schedule committee meetings during Mono Council meetings. Town CAO Keith McNenly stated that Mono Council meetings have been set on this schedule for decades, so the County should be well aware. Mayor Ryan added that the public should have the opportunity to attend these committee meetings as well as they cover issues of public interest, so scheduling them so early prevents most people who work from attending. Issues discussed at some of the meetings that have conflicted with Mono Council have included the issue of uploading/downloading County Roads, which is of concern to Mono. Towards the end of the meeting, Town CAO Keith McNenly announced that he will be retiring at the end of February 2016. He added that he still has a number of projects he intends to continue looking into completing, and feels this provides enough notice for council to find a replacement.